This style is not available for sale. Sign up now to discover new products and more! 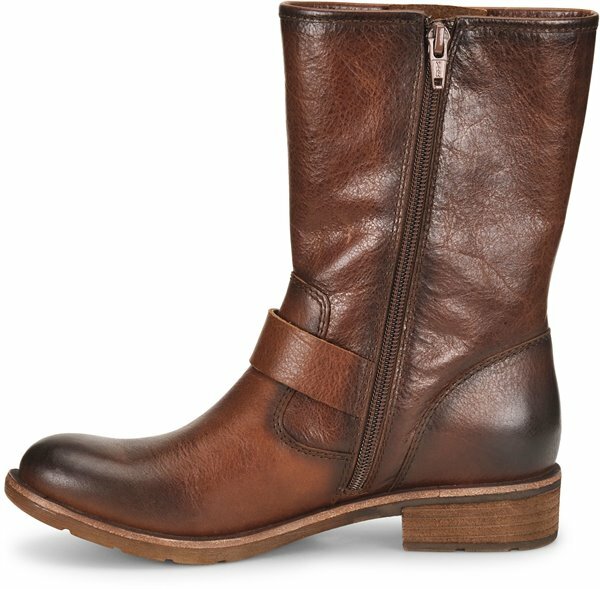 I purchased these boots in brown and I receive great comments every time I wear them. They are comfortable and a great fit. These boots are amazing. I bought them to replace the Frye’s I bought that didn’t work out and they are MUCH more comfortable than the more expensive boot. I wore them straight out of the box on a day when I was on my feet constantly. They did not let me down! The support was amazing. My feet didn’t hurt and you’d never have known I had on a brand new pair of boots! 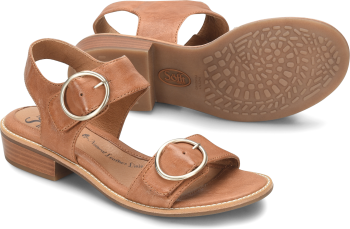 I am a Sofft convert. I bought brown and am back for a black pair to have for next winter. I absolutely love these boots! I wear them almost everyday! They go perfectly with everything. I only wish I had bought brown before my size sold out. Just received these boots and have wore them 3 times all day. They are a nice boot to wear in winter weather and look of good quality. 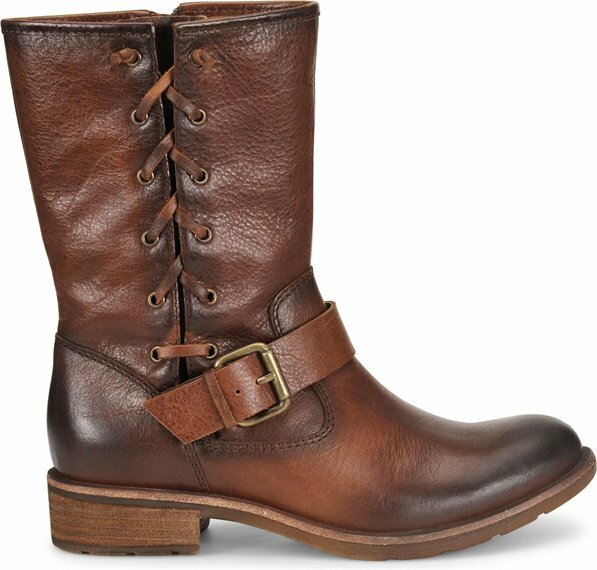 The leather is nice but sturdy and the look is streamlined compared to other boots of this style. I have a D width wide foot and these fit snug but not treacherously tight out of the box. By the 2nd day they feel good and I'm sure they will continue to mold to my foot as the leather softens. Good purchase. I bought these at Dillards and I love them. 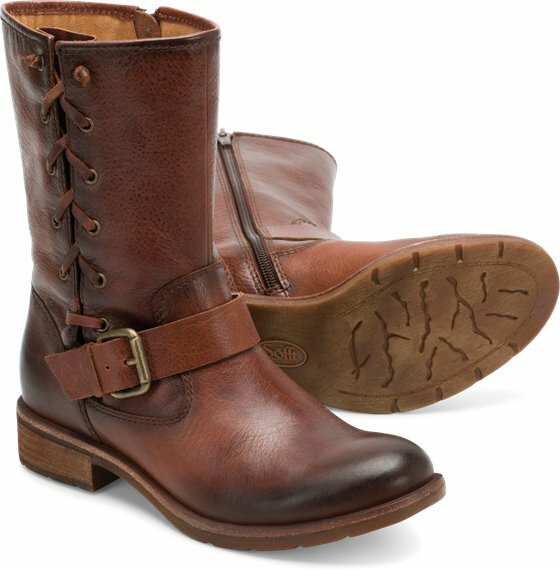 These boots are stylish and comfortable (two traits that compelled me to buy them). I wear a size 5.5/6 and I got the 6 and they fit just fine. I am a slim built woman and the shaft of the boot doesn't fit snug since I have slim legs so I use boot socks to fill in the gaps! Plus I tuck my skinny jeans into them and voile- a VERY cute equestrian look! The leather is so soft to the touch and I can see these boots getting better with time. I got the cognac colored ones and I will pair them with a cute baby doll dress! I had been looking for a boot with this look and length of shaft and it was a marriage made in heaven when I found them lol. Also, when I tried them on, another customer saw me and asked me wear were they located b/c she bought them too! Flattery!! A versatile boot for walking and fashion. I bought them in black and they have worn like a favorite pair of blue denim. Soft, comfortable, durable, and well traveled. 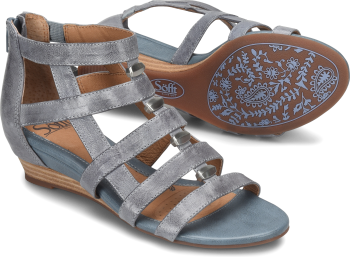 I've become a Sofft Shoe convert. I purchased these boots in black, and they fit true to size. I was concerned I'd have to size up, but nope. 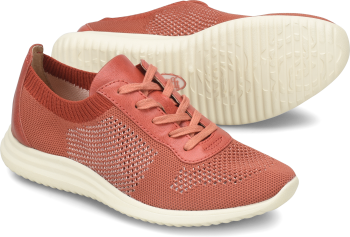 They are very comfortable and super stylish. Love them! !